Followers of the telecommunications industry will know that US company Qualcomm tends to go it alone in setting royalty rates for patents considered essential to standards. Qualcomm considers the licensing fees set to be "Fair, Reasonable and Non-Discriminatory" (the mythical FRAND terms), but much of the industry is not so sure. 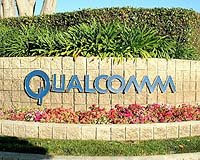 Qualcomm holds a number of patents to the CDMA standard which are considered relevant to UMTS. Qualcomm is currently facing an EU Commission investigation into its licensing practices, as reported here. Just to add to Qualcomm's woes, the Japanese Fair Trade Commission have apparently issued yesterday a negative decision - as reported by Qualcomm itself on its website.